Do you have an animated video or do you want to create a video that will capture the attention of your target audience? 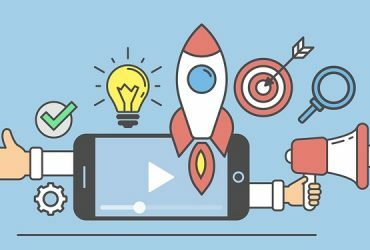 Do you wish that you could create a video that would help you to increase your following while also increasing your ROI (return on investment)? According to one online video production site (Skeleton Productions), they reported that 52% of online marketers state that video has the best ROI of any of the content types. There is a lot of research available that supports this idea. For example, Wordstream.com reported that 82% of Twitter users watch video content on Twitter. Many other statistics back up the notion that animated videos for business sell. 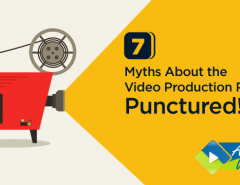 Another interesting statistic that has been around for quite awhile is the fact that up to 65% of customers online who are shopping for products will purchase a product immediately after seeing a video explaining the benefits of the product. What a great opportunity this gives the online business owner to promote and improve your brand and increase your ROI. But how do you know that the video you create will achieve this? Here are a few ideas. First, let’s start with a definition and formula for ROI. Yes, it’s a mathematical formula, not just a theory or a general concept of “earning more money.” To calculate your ROI that you current have, follow these steps. 1. First, subtract your investment cost from your investment gain. 2. Divide this number by the investment value and multiply by 100. 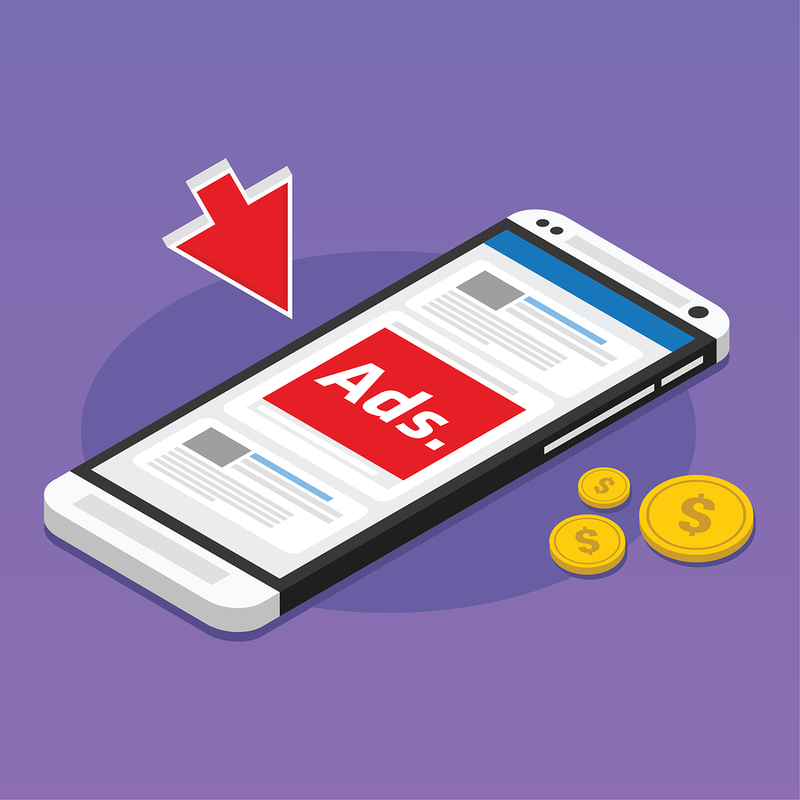 Example: If your cost of advertisements and promotions is $100 and you made $200 in the campaign, you would subtract $100 from $200 which gives you $100. Then, divide this number by the investment cost ($200) and multiply by 100. The result (if you did the math correctly) would be 50%. This was a simple calculation, and you can almost do it in your head. So the math checks out. The business owner who created the above campaign and spent $100 and made $200, then you were able to increase your return on investment by 50%. This is because you made back twice what you invested. According to most entrepreneur experts and business managers, this is a good profit margin. If you are doing anything at all that results in this kind of ROI, then you are on the right track, and you will want to try to emulate your formula in the future to continue this success. If you do not see this level of ROI, try creating a video with the idea of improving your investment level, and think about what you should include doing this. 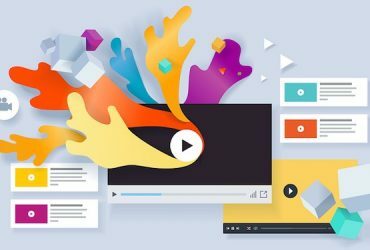 Below are some tips on how to create an animated video that will increase your ROI and drive more customers and sales. Create a video that is fun and shareable.– When you make your video fun, you’ll see an improvement in your engagement and ROI. Make the headline interesting.– Nothing gets the attention of your target audience faster than a stunning headline. Offer free incentives for staying through the video until the end.– Offer something like a free eBook or coupon to increase interest. Think like the customer.– To create more interest in your video content, think about what you would want to see as a client. Put it on your blog and social media.– Place your video content where it will be the most visible. Put it center stage. If you want to see the math at work, try using certain metrics to measure the relative success of your animated marketing videos. The following factors can serve to remind you of what your objectives are. The bottom line is, if you are meeting your goals for your video content, you are successful, and you should start to see your ROI improve accordingly. The following factors are considered some of the most important factors that affect the ROI of a business that you can measure. Subscribers and leads– If the number of customers and leads has increased, you can assume that your video is producing the kind of results that you want. Granted, there could be other factors that are affecting the sudden rise in leads and subscribers but using Google Analytics or similar tools that allow you to perform accurate A/B test or experiments can shed more light on this. Customer communications– If your client communications have increased or improved after posting your animated corporate videos or if customers mention the video in their email, you can assume that the video is increasing your ROI. Engagement and retention levels– Is your level of engagement and retention for your video content improved? This metric is easy to remember and measure because you can go into YouTube or Google Analytics and look at the specific retention times and level of attention that your video is getting. Brand awareness– If one of your goals is to improve your level of brand awareness, an animated video should help you to achieve this. Check your customer communications as well as the level of activity on your social media to see how your video is performing. Increase in sales– If your goal is to grow your sales with your video, place the video on your landing page or a prominent area on your website and start measuring your sales. You can also perform specific experiments within Google Analytics that will help you measure the number of sales that are resulting from your videos. When working out the ROI of your video, you need to total up all the gains and costs of that content and then run it through the equation we gave you earlier. For the most accurate results, you should count the ‘gain’ of your video content as whatever your objectives were for that piece of content. For example, if you created an educational video to generate leads on your site then the gain for that video would be the number of leads you managed to generate in a set period of time (assigned a monetary value according to your lead value or lead conversion rate). But the gains and costs of your video content can be almost anything. That’s why it is so important to decide on what your objective is before you create and start promoting your video content. 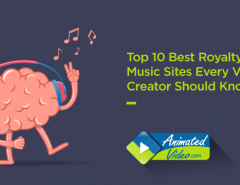 Need help deciding what to focus your animated video on? 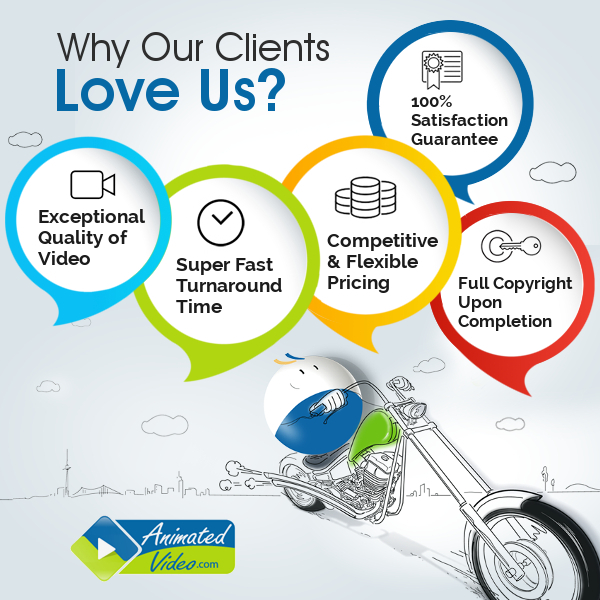 Contact us at animatedvideo.com. We can give you some guidance on your goals and help you to devise a plan to create a video that will attract your target audience and create the results you want! Video may well be your best tool to increase your ROI on the planet. Why not start today by contacting us? Next Article Video Creation Tips for Businesses: What Kind of Business Videos Work Best?